One of my hobbies, playing the guitar, rightly began with this textbook, Carcassi, a guitar playing textbook about 50 years ago. 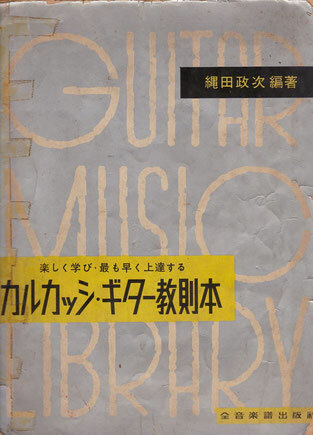 This book by Mr. Seiji Nawata, a guitarist, is now out of print and very popular on the Internet auction. 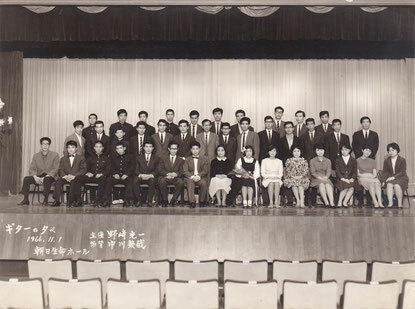 A little before my twenty when I was in Osaka, I learned playing the guitar from Mr. Ikuya Nakagawa, a professional guitarist, and experienced playing solo, Adelita in the Asahi Seimei Hall 1n 1966 and Capricho Arabe in Moriguchi civic hall in 1967. Capricho Arabe and Recuerdos De La Alhambra were said to be the target music for the practitioners to master in a few years and they are still the same,I guess. In those days I could master both of them. After that I enjoyed playing in the guitar & mandolin club in the private company for about 10 years and stopped it for about 30 years. It was only about 10 years ago to make a re-start of playing the guitar in Fukuyama in 2006 and Onomichi guitar ensemble groups until last year of 2016. Totally it is about 20 year-long guitar playing hobby history. Go back to Guitar Karoke with instruments & Music home delivery.